The Financial Accounting Standards Board has voted to add a project on cloud computing and agreed to let its Emerging Issues Task Force develop the proposed guidance for consideration by the accounting standard-setter. Separately, the FASB released a new standard on accounting for modifications to stock compensation / stock option plans. Accounting Standards Update No. 2015-05, “Intangibles — Goodwill and Other — Internal-Use Software (Subtopic 350-40): Customer’s Accounting for Fees Paid in a Cloud Computing Arrangement,” provides guidance about a customer’s accounting for fees paid in a cloud computing arrangement (also known as a hosting arrangement). Under the 2015 standard, an entity evaluates a cloud computing arrangement to determine whether the arrangement provides the entity with control of a license to internal-use software. If a cloud computing arrangement includes a license to internal-use software, then the software license is accounted for by the customer in accordance with Subtopic 350-40 (ASU 2015-05). This generally means that an asset is recognized for the software and amortized over its useful life. If a cloud computing arrangement does not include a license to internal-use software, the entity would account for the arrangement as a service contract. In practice, service contracts generally are expensed as incurred. arrangement ready for use. Other implementation costs can include training, creating or installing an interface, reconfiguring existing systems, and reformatting data. 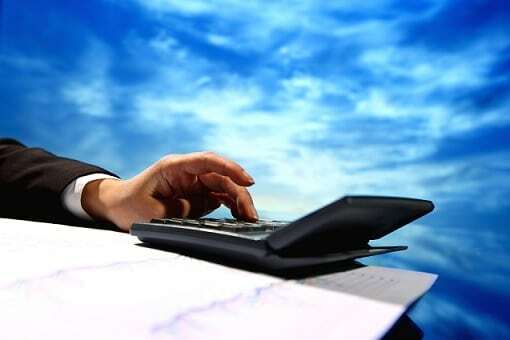 Entities have looked at different areas of (FASB’s Accounting Standards) Codification for guidance on how to account for implementation costs incurred in a cloud computing arrangement that is considered a service contract because there is currently no explicit guidance on them. Based on input from an EITF working group and other staff outreach, the board voted to add this project with its EITF taking the lead. The cloud computing issue was one of two potential agenda projects discussed by the FASB at its May 10 board meeting. The board voted not to add a project relating to employee benefit plans. Accounting Standards Update 2017-09, “Compensation-Stock Compensation (Topic 718) — Scope of Modification Accounting,” was issued on May 9 by the FASB. immediately before the original award is modified. The effective date of the new standard is for annual periods (and interim periods within those annual periods) beginning after Dec. 15, 2017. Early adoption is permitted, including adoption in any interim period, for public business entities for reporting periods for which financial statements have not yet been issued, and for all other entities for reporting periods for which financial statements have not yet been made available for issuance. The FASB addressed numerous additional topics at its May 10 board meeting, including a discussion of the state of implementation of its new Revenue Recognition (Topic 606) and Leases (Topic 842) standards, and other issues as well. Other items on the May 10 agenda included a discussion of a project dubbed “Intangibles II,” which includes research and development costs, and a separate project on liabilities and equity-targeted improvements. Details of matters discussed can be found in the FASB’s board handout. Results of the discussion can be found in FASB’s summary of tentative board decisions. Looking to learn more about the latest FASB developments? Join us in-person or tune in via simulcast for the MACPA’s Business and Industry Conference on May 18. The opening keynote, “The Not-So-Typical Accounting Update: Everything You Did and Did Not Want to Know,” is being presented by Jennifer Elder, CPA, CMA, CIA, CFF, CGMA, MS. A popular speaker, Elder is also known as “The Sustainable CFO” and is one of the Business Learning Institute’s thought leaders. Other experts will cover social media, cybersecurity, risk management, diversity and inclusion, auditing the HR function, and financial communication. The closing keynote will be an economic update. Also of interest to CPAs in business and industry (or CPAs in audit looking to broaden their skills) is the June 1 program, “Leadership Skills for the Accounting and Financial Professional.” The program, offered in-person and via simulcast, features Frank Ryan, CPA, CGMA, MBA.